The jewelry of Stella and Bow is always simply pretty. And as if we didn’t love their brand enough already, they have created a bracelet for nasty women everywhere. Just in time for Donald Trump’s inauguration, the jewelry company has created the NASTY bracelet and all proceeds go to Planned Parenthood. It’s time to show just how nasty you are on your wrist. After Trump called Hillary Clinton “such a nasty woman” during the final debate of the 2016 presidential election, an amazing amount of nasty woman merchandise was created. Just like the Stella and Bow bracelet, a lot of this swag raised money for Planned Parenthood since Trump’s Vice President Mike Pence has fought for four years to defund the organization that provides vital health care services. Now, Stella and Bow has its own bracelet to help fight the good fight. 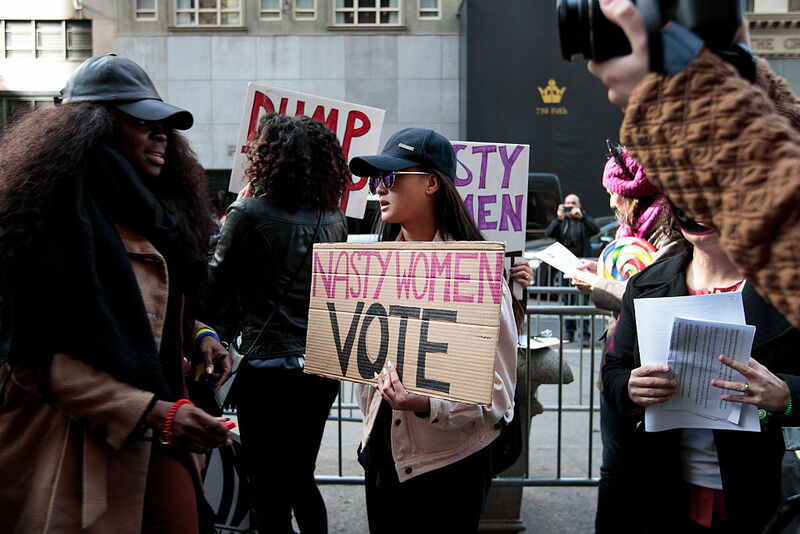 "In light of the current political climate, we’re empowering 'Nasty' women across the nation. We're proud to stand with Planned Parenthood – 100% of proceeds will be donated to them." The simple gold chain bracelet has a retro look, thanks to the plastic letter beads that say, “Nasty.” And at $38, you know your money is going to a good cause. The issue of women’s rights will be more relevant than ever after Trump takes office. So even if you can’t rock this bracelet in time for the inauguration on Jan. 20 or the Women’s March on January 21st, the Nasty bracelet and what it represents will still be in style.